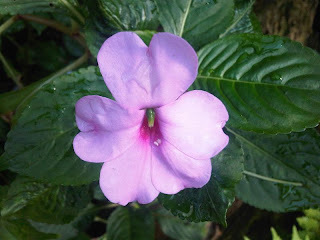 The Fern and Mossery: What is wrong with impatiens this year? What is wrong with impatiens this year? Standard impatiens, a longstanding staple of shady flower beds, have been decimated by a fungus that has spread throughout the United States. If you happen to see some available for sale, you are better off skipping this plant this year. At best your impatiens will probably succumb to the fungus in the end, at worst you may introduce the fungus to your soil. Read more at Halleck Horticultural.